I am catching up on challenges again. I will be posting the wedding invitations as soon as I get caught up with a new video. So be sure to follow me if you are interested. Today's challenge is over at Artistic Inspiration and the image is from Karleigh Sue. Be sure to stop by and enter the challenge to win some digi's and see what the talented DT has for your inspiration. 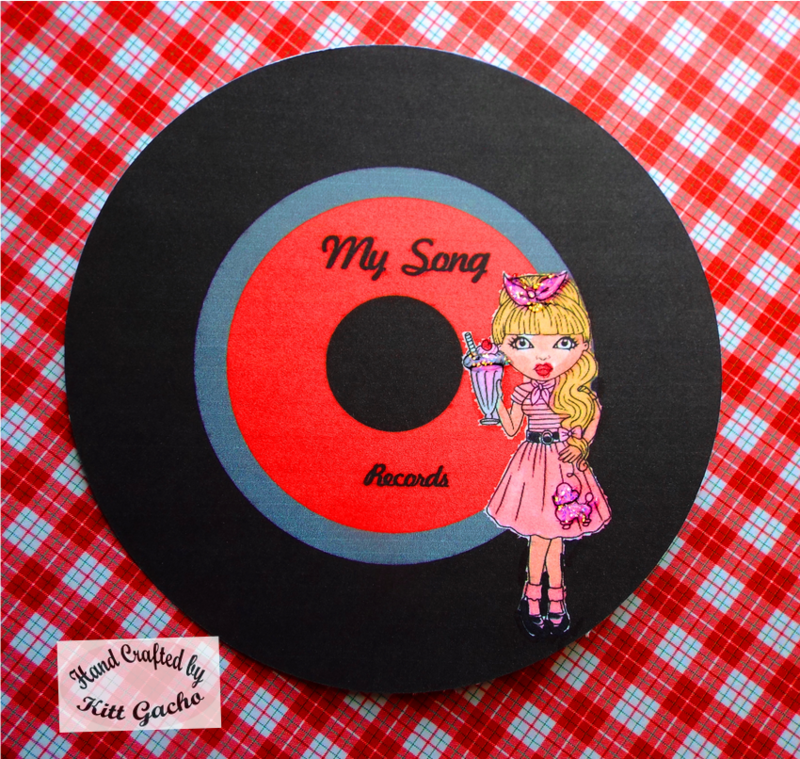 I used a Silhouette file for the 45 record and added the girl to the record. I used the Silhouette Cameo to print and cut the project. Of course I'm using my Spectrum Noir markers and some Chameleon markers to color, along with Stickles Iced Diamonds for some bling on the skirt and head band. Thanks for stopping by today and leaving your comments. Have a happy crafty day.